There's no denying it, fall is upon us! It seems as though we've forgotten about sunscreen and bathing suits and are racing towards pumpkin latte's. I'm joining in the fun. Had my first pumpkin spice latte this week after Anderson cried for an hour in the nursery- poor baby and something I didn't realize was happening since I told them to get me if he was upset for more than 10 minutes!- and we went apple picking this week with some friends! Much like how we took summer by storm, I have every good intention to enjoy this fall season and get this boy on a tractor with some pumpkins around him sooner than later. 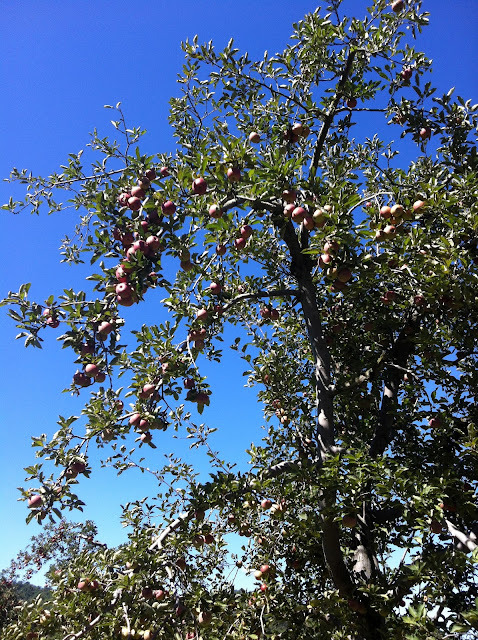 This week we headed out to Stribling Orchard which was quite the trek but worth it for sure. Country air, I do love you. We picked several different kinds of apples and now is the challenge of using them up! I think some will be canned thanks to a friend teaching me the tricks of that trade next week, and some others may have to go into an apple cake or my first attempts at legit apple pie making!